On my way to a beach vacation recently, I passed many small churches scattered along narrow country roads. Around them were dozens of houses and businesses. The community seemed to be growing while the churches felt small. Most churches in America are under 100 weekly attendees. 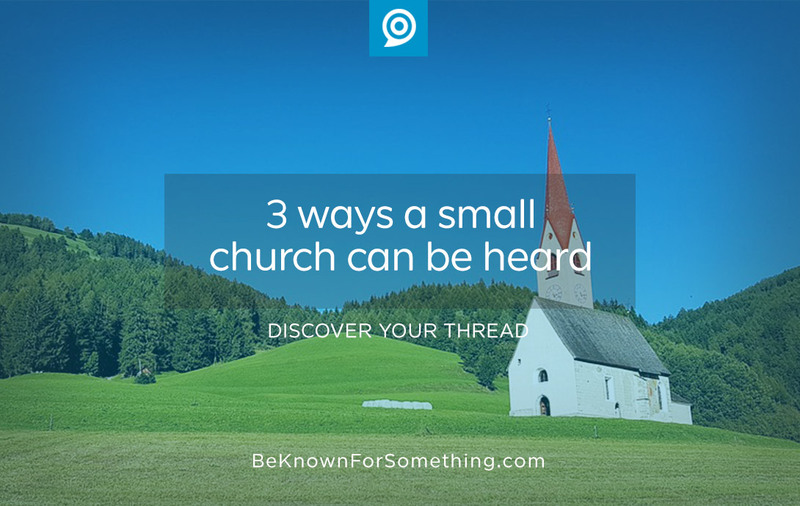 With a majority of our churches not growing, are small churches destined to getting smaller and eventually disappearing in this marketing cluttered world? Can a small voice make a big difference? Absolutely. Break through with a solution. If everyone in your community has a concern or pain and you offer them a solution, you’ll be noticed. Think about something you’re doing really well that will satisfy a perceived need in most people around you. We ultimately know that they need Jesus, but think about a more temporal symptom (marriage, family, depression, etc) that you have answers for. Decide on one unique solution that will attract and break through. Incorporate the solution into everything. Become known for it. Weave your solution thread through all your communications. This will simplify all your messaging and will become your brand. Tear down ministry silos (internal branding) by making every ministry support your brand solution. Make it “Central Church Students” rather than “Steadfast Youth”. Get your website right. When you don’t have a lot of money, make sure you do everything (you can afford) with excellence. If it can’t be done right, it’s better to not do anything. In today’s world, you need an effective digital hub for communications. All your messaging directs your community to your website. Social media, email, and print will point to your website content. Make sure your church website is organized simply so everyone can find the critical information. Place your service times, directions, and your big solution on the home page (easy to find!). Don’t have a great website? Start doing it better. Use a simple template that can be customized with your logo, your colors, and your messages. Make sure it feels and looks like your physical building. And ultimately, write short, to-the-point content. Be the voice crying in the wilderness. Keep talking about your solution until everyone knows it. And make sure you and your congregation knows how to pivot to the message of Christ. 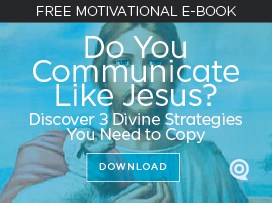 Each person that comes in contact with your message needs to feel loved and cared for. Then they’ll tell people about your ministry. And you’ll grow.